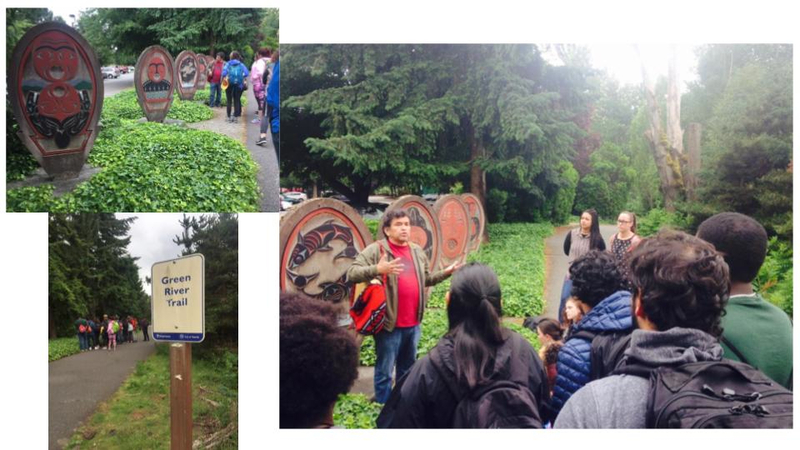 Welcoming Circle at UW Campus! 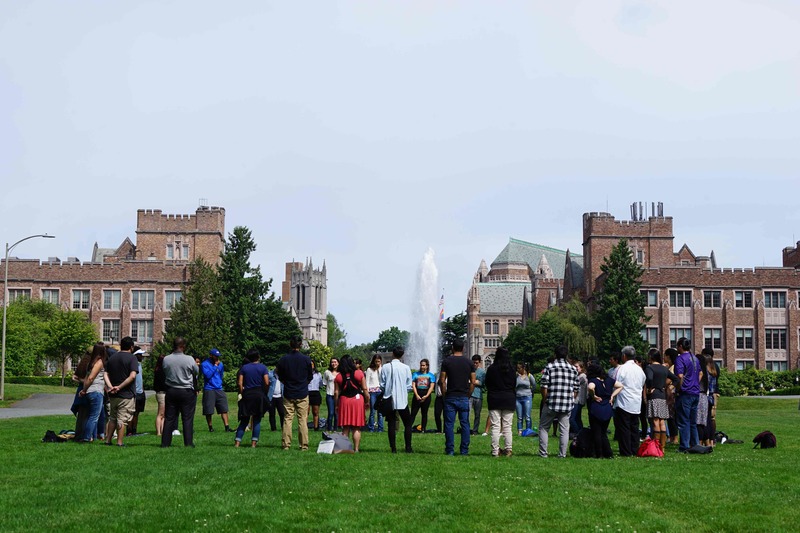 **DDCSP @ UW acknowledges the Coast Salish peoples of the land where UW now sits, the land which touches the shared waters of all tribes and bands within the Suquamish, Tulalip and Muckleshoot nations. 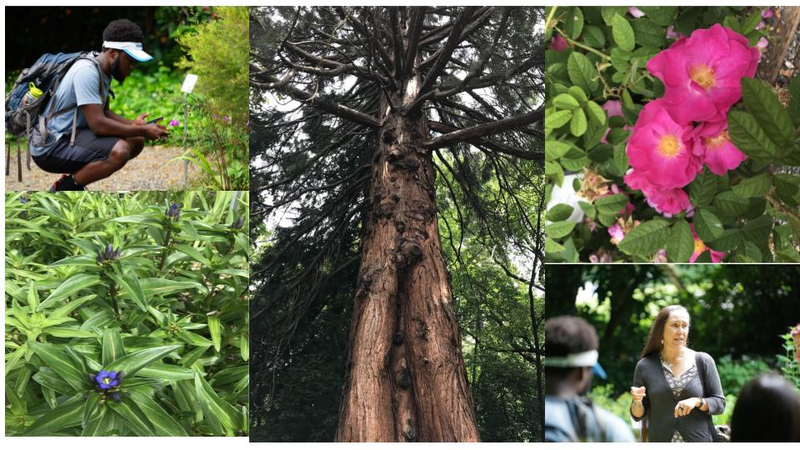 Polly Olsen from the Burke Museum helped us orient to UW campus through visiting the medicine gardens. 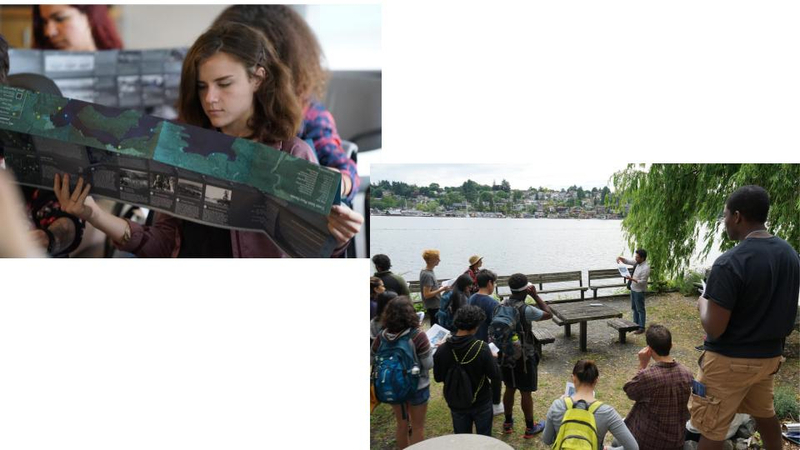 We learned how waters around Seattle have been altered since European settlement from Amir Sheikh, a lead designer of the Waterlines Project. 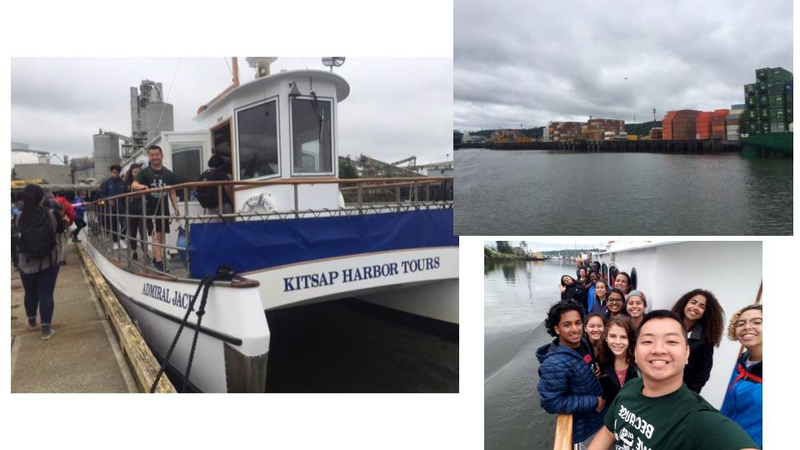 The Duwamish River Cleanup Coalition guided us along the Duwamish river and shared historical and ongoing significance of the river to a variety of cultures, communities and industries. We learned a story of North Winds Weir from local storyteller Roger Fernandes. The story illustrated ways traditional ecological knowledge and western-based sciences can offer varied perspectives on similar stories. 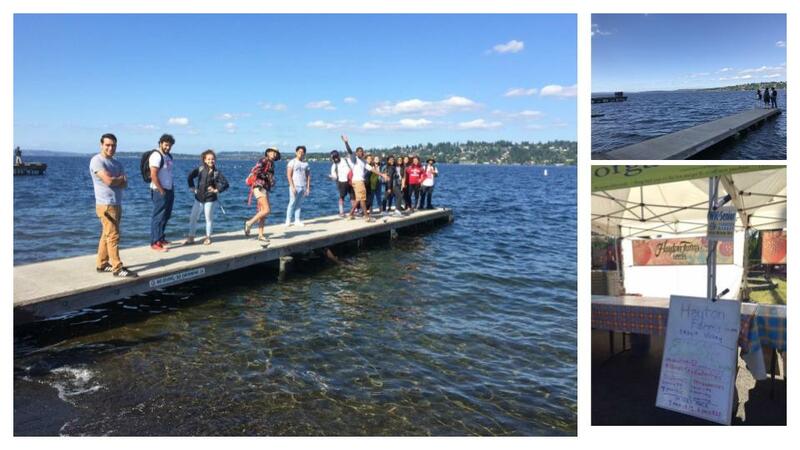 We traveled the west shore of Lake Washington, observing ways it is connected to other waters we learned about earlier in the week to meet UW professor Tim Billo. He’s part of a team assessing a sword fern die-off at a park on Lake Washington. After a writing workshop led by Jasleena Grewal we met with the Got Green Environmental Justice Committee to learn their perspectives on the connections between climate justice, economic justice, racial justice and gender justice in the context of rapid gentrification across Seattle. 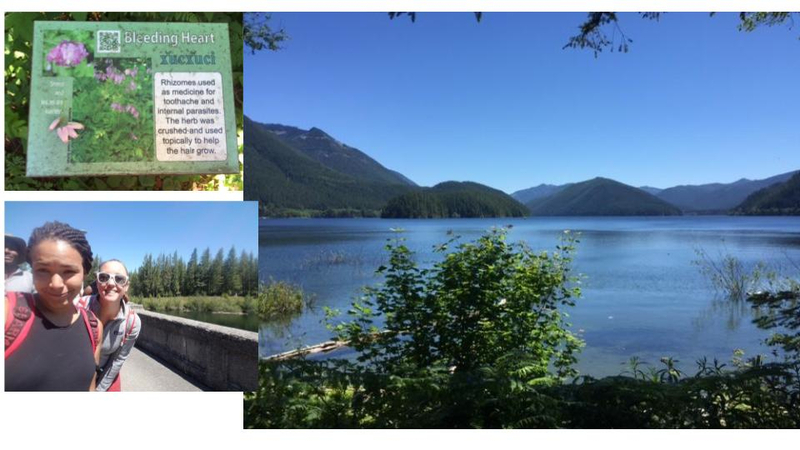 The Cedar River Watershed is a primary drinking source for Seattle, providing water to over 1.4 million people in the area. 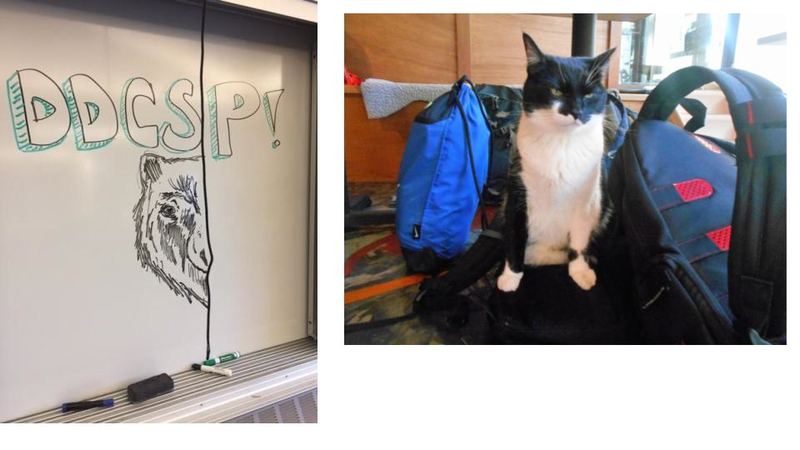 We learned of the recent history of when the City of Seattle came to manage the area, and had our first meeting with Stinging Nettle! 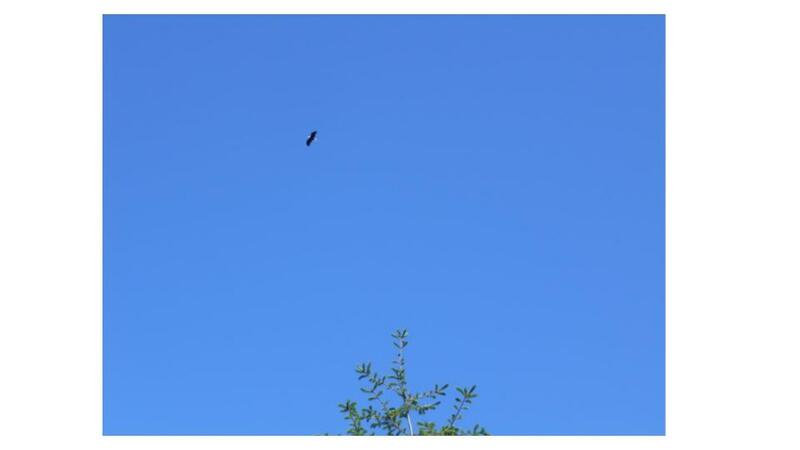 Several eagles came by over the week, signalling happy and safe journeys for the rest of the summer.